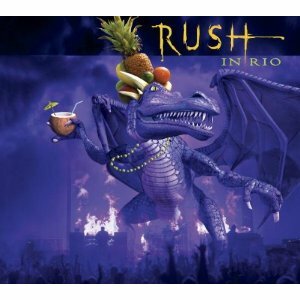 Rush In Rio is a live album by Rush recorded in November 2002 at Maracanã Stadium in Rio de Janeiro at the end of the Vapor Trails Tour. Rush have two previous live albums that are very high rated – All The World’s A Stage and Exit Stage Left. This time, fans get the entire concert and nearly three hours of music. This is a comprehensive summary of Rush in their first thirty years. I don’t understand why Rush are so popular and have such a long and enduring fan base. They are doing something right but I don’t know what it is. A little bit of Rush goes a long way for me. Nearly three hours work is too much. Amazon reviewers are more mixed with concerns about the mixing with the vocals lower and the crowd noise higher than some people would like. I think it’s always advisable to listen to the mp3 samples when there are complaints about mixing to make sure that you are happy with the balance of sound. What Do You Think About This Live Album By Rush? The debate on Amazon show that opinions differ sharply on this live album. What do you think? Is this the best live album by Rush? Is Live In Rio One Of The Best Heavy Metal Live Albums? Please vote in the poll to find the best heavy metal and hard rock live albums. This entry was posted in 2000s Live Albums, Heavy Metal Live Albums, Progressive Rock Live Albums and tagged 2000s classic rock, 2000s hard rock, 2002 live albums, classic rock 2002, heavy metal 2002, Rush Live Albums by Paul Simister. Bookmark the permalink.